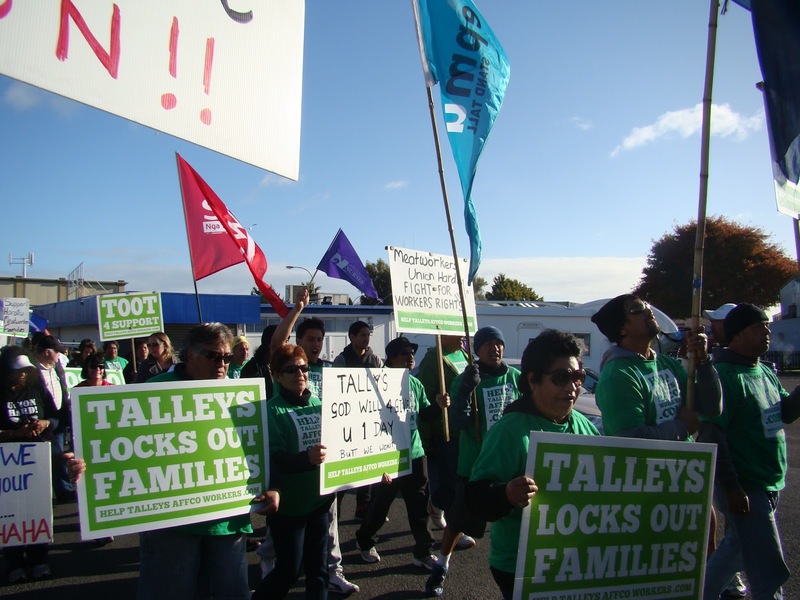 Free Taame Iti and Te Rangikaiwhiria Kemara! Taame Iti and Te Rangikaiwhiria Kemara have been sentenced to 2 and a-half years jail for possession of unlicensed firearms and Molotov cocktails. Urs Signer and Emily Bailey’s adjurned sentencing – and the suggestion of home detention – suggests further injustice to come. The most expensive case in New Zealand history, and for what? 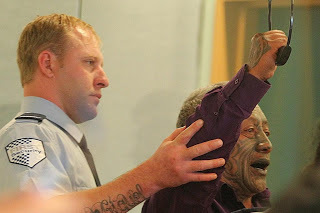 Millions of dollars have been spent on a vindictive and farcical prosecution, at the cost of untold stress, emotional harm and upset for the people of Tuhoe. In February we called the treatment of the Urewera Four an “anti-democratic outrage”, and stand by that today. The police case continued for reasons of malice and political mischief – there were gains to be made in creating a ‘terror’ threat. Tuhoe, yet again, have borne the burden for that. Drop the charges, and free the Urewera Four! The International Socialist Organisation offers its solidarity to Tame Iti, Emily Bailey, Te Rangikaiwhira Kemara and Urs Signer. We support Te Mana Motuhake o Tuhoe, and offer our solidarity to all the people of Tuhoe. This is just the latest in a series of raids, attacks and confiscations carried out by the state in Tuhoe land. Language is the lifeblood of culture. 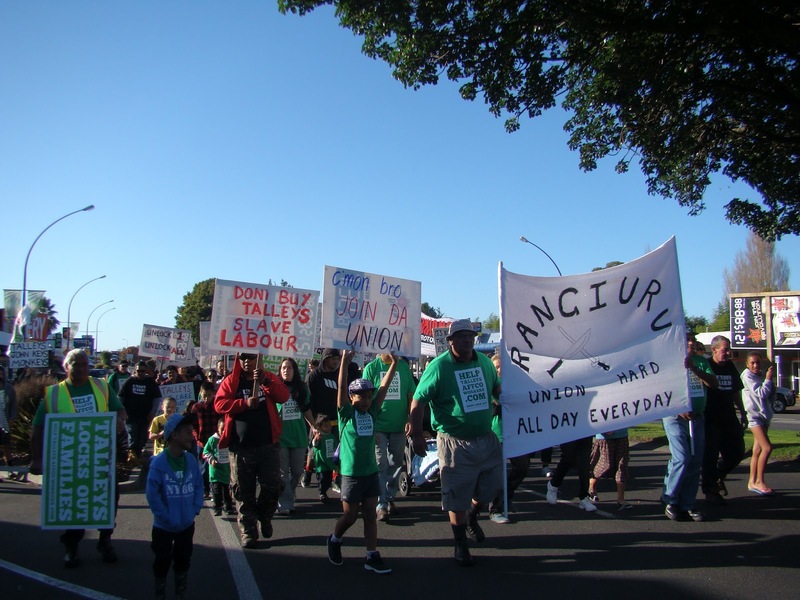 The struggle for Māori language is an essential part of the struggle for rangatiranga – Māori self determination – just as the struggle to suppress the language was an essential part of the colonisation of Aotearoa. From Land Wars to Union Battles! Ka whawhai tonu matou, Ake! Ake! Ake! : Rewi Maniapoto’s words from the Waikato Wars of the 1860s rang through the twentieth century and into our own. 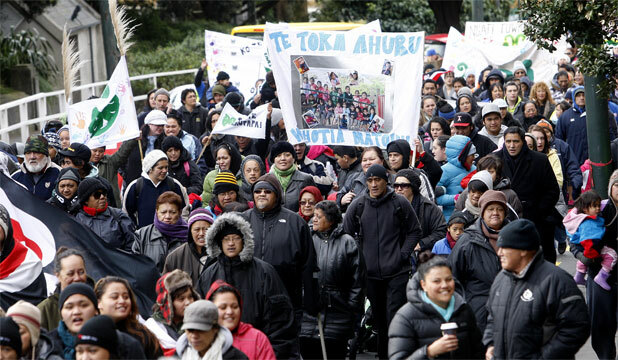 Maori resistance to colonisation and land theft has never ended and the Maori struggle for self-determination has continued across the generations. 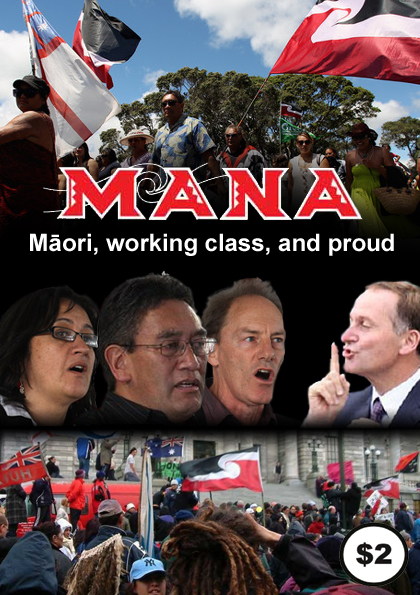 On April 30 this year, a new political party was formed by former Maori Party MP Hone Harawira – Te Mana Party. 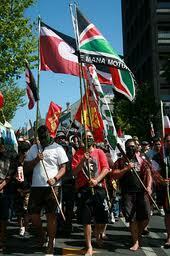 It was formed from a left split, as Harawira was expelled for opposing his party’s support for the National Government. Mana immediately drew support from veteran activist and lawyer Annette Sykes and Unite Union leaders John Minto, Mike Treen, and Matt McCarten. It has also received support from CTU vice-president Syd Keepa, Ngati Kahu leader Professor Margaret Mutu and former Green Mps Nandor Tanczos and Sue Bradford. It’s clear from the policies Hone has so far offered that he is determined to broaden his support beyond his te Tai Tokerau electorate by appealing explicitly to the working class. 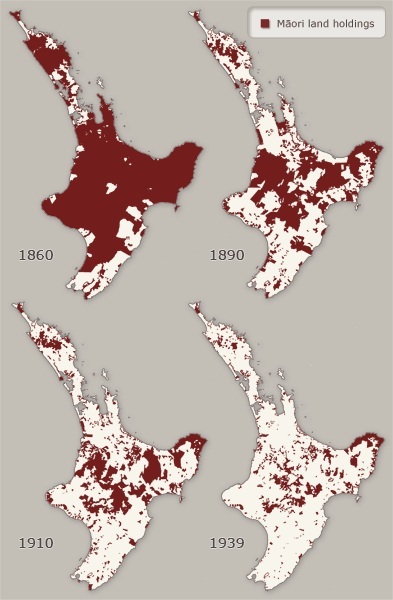 “Historically, the intensity and momentum of Maori political activism has never been consistent. Upturns in protest activity are followed by downturns in struggle and vice versa. The 1970s were witness to a dramatic upsurge in Maori activism which had a profound effect on New Zealand Society. 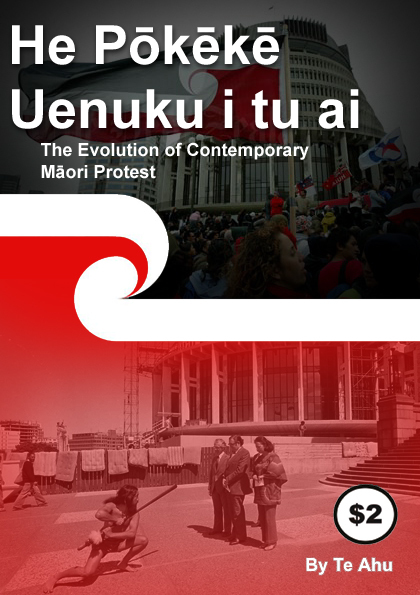 This article, written by a member of the International Socialist Organisation, Evan Te Ahu Poata-Smith, in the 1990s is a useful resource for activists today. We are committed to producing and distributing quality material that arms activists with the knowledge we need to take into the struggles of the future.